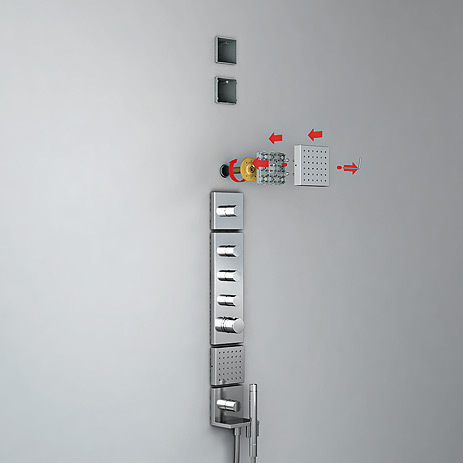 iBox universal and the base sets for the Axor ShowerCollection offer flexible and reliable solutions for concealed installation. 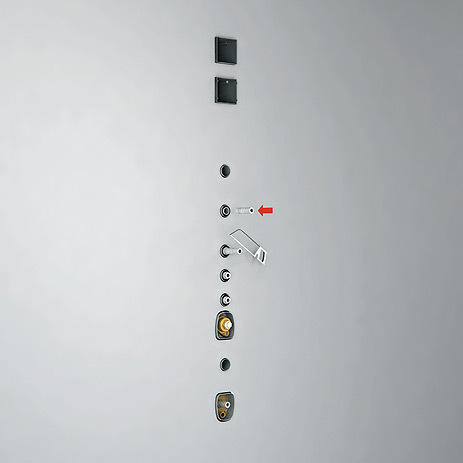 You can also choose from a wide range of concealed basic sets for other purposes. With the iBox universal, you can offer your customers concealed installation for various designs and functional solutions. 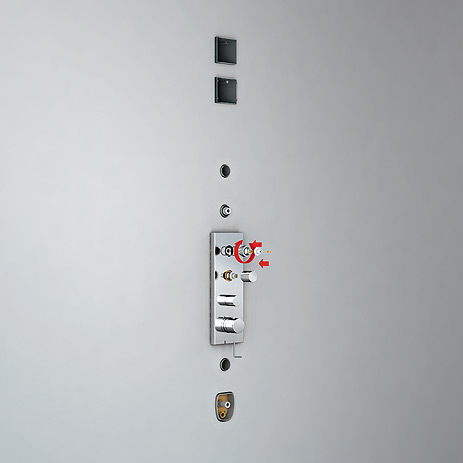 Thermostats or mixers are integrated in the wall via the base set, thus creating more space. 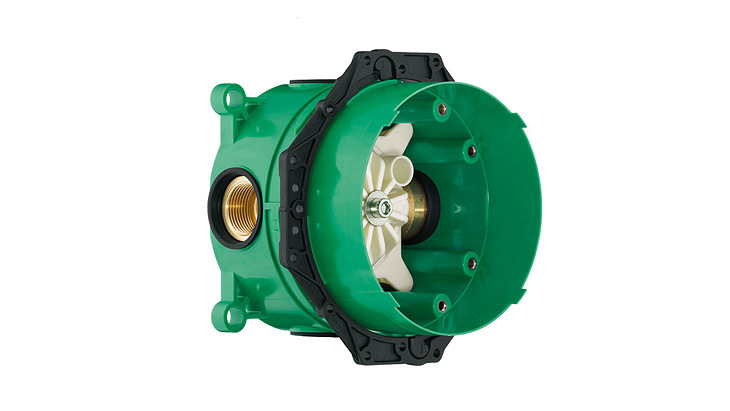 Another advantage: the customer can have the iBox universal installed now and can opt for one of over 200 pre-fab sets offered by Hansgrohe and Axor at a later stage. Only one base set is required for different solutions. For your customers this means: greater freedom of movement in the bathroom and more freedom of choice. 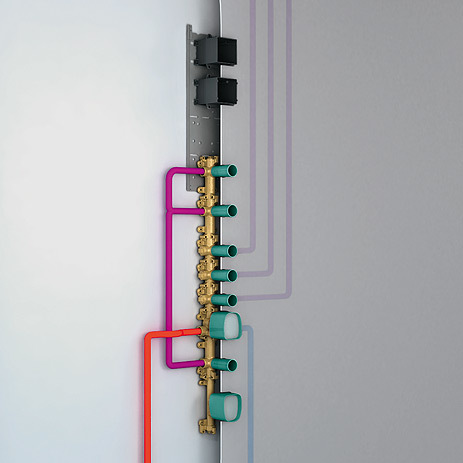 Few systems are as versatile as the Axor ShowerCollection. Developed in collaboration with designer Philippe Starck, the Axor ShowerCollection is based on 12 cm x 12 cm modules. 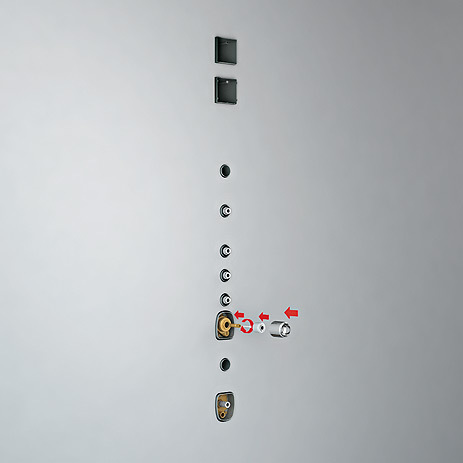 For accurate installation, use special base sets that can easily be inserted into each other. 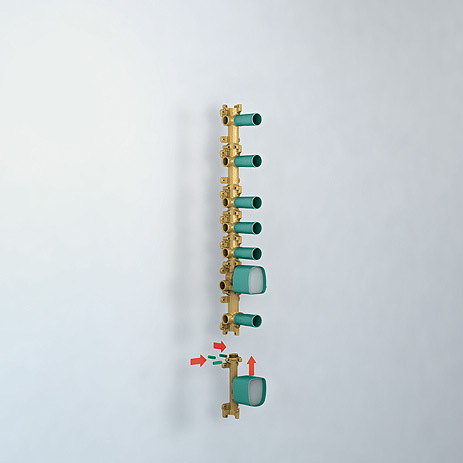 Install the pre-fab sets of the individual modules conveniently in a perfect line using defined clearances of 10 mm. 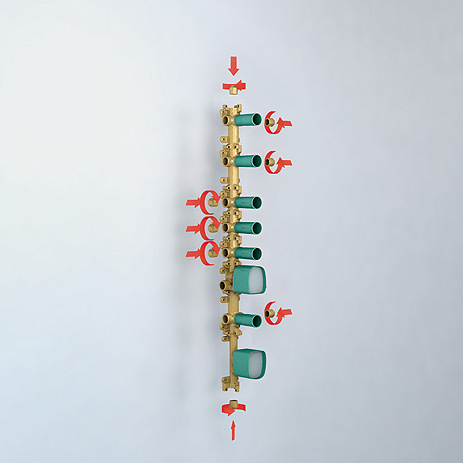 Here you will find the iBox universal and other base sets that you need for installing Axor concealed products or bath mixers. In addition, we offer bathroom planning data in 2D or 3D for download in the Planning section. 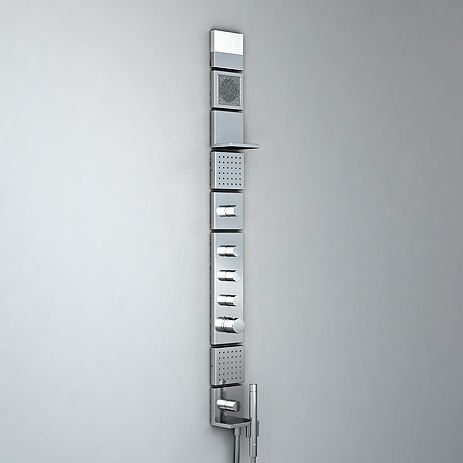 The Axor ShowerCollection is also impressive behind the wall, with well-structured and easy-to-install solutions. 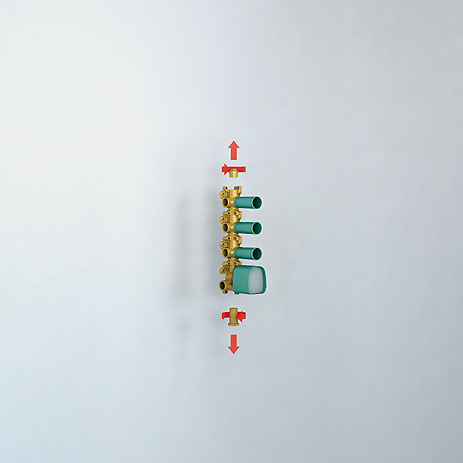 The concealed basic sets are easy to assemble via a sophisticated modular principle. 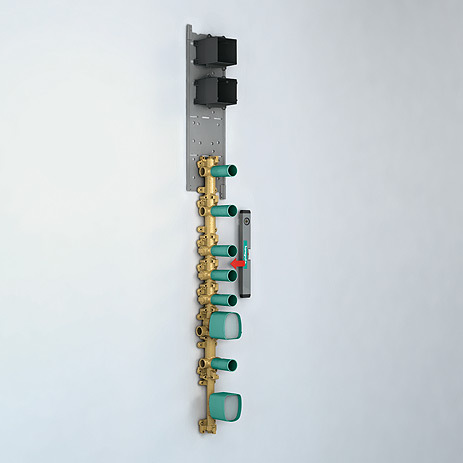 Here you will find all the base sets you need for implementing a customised Axor ShowerCollection shower. We offer bathroom planning data in 2D or 3D in the Planning section.